Yikes! Here goes the dreadful first post. I honestly wish these pictures came out better, but it’s my first post so forgive me, they’ll get better…. I like wearing “short” skirts in the winter because you are forced to wear tights, thus making the look appear more modest- #modestytips101 bahaha. 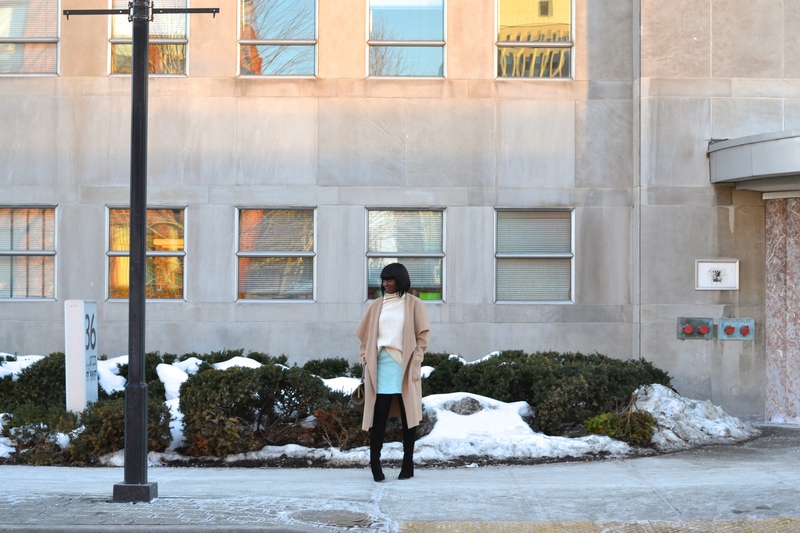 This entry was posted in Uncategorized and tagged fashion, modest, modesty, skirt, thrifted bag, turtle neck, zara boots, zara camel coat. Bookmark the permalink. 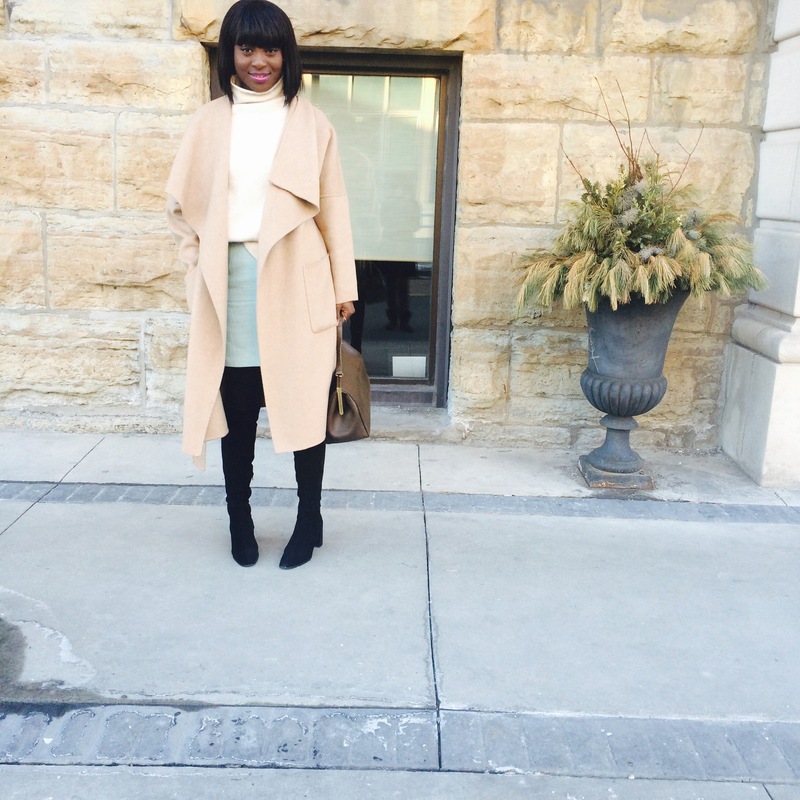 Neutrals with a pop of color. It doesn’t get any better than this!